Adèle & Simon, by Barbara McClintock, has gotten rave reviews for its old-fashioned look and meticulous drawings. And here I’ll agree. The drawings are amazingly detailed. It does make the Where’s Waldo? aspect of the book appropriately challenging. As Simon goes home with Adèle, along the way he loses his drawing, or hat, or coat, and the missing item is always in the picture somewhere. But with everything going on in each scene, the items are pretty hard to find  even the second time through the book. At the back of the book is a little more information about the Parisian scene represented. It’s a beautiful, interesting book. I’m just not sure that kids of the Disney-color, videogame-graphic generation love the book as much as adults do. The text has a sing-song ring to it. “Have you ever seen a moose  a long-leggy moose  a branchy-antler, dinner-diving, bulgy-nose moose?” and, “We look in the woods  TROMP STOMP! TROMP STOMP!  the treesy-breezy, tilty-stilty, wobbly-knobbly woods.” One of the best parts of the book for me is that the four children are of color  various shades of color, from very light skinned with brown hair to very dark with black hair. I’m always interested in a book with children of color that doesn’t make it about being children of color. The title would be a fun read-aloud for a smaller group. 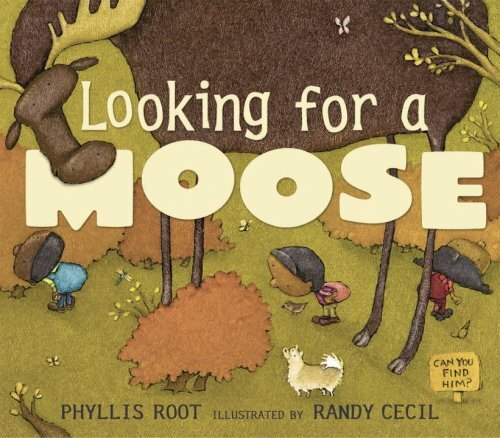 The thing that might make it harder for a larger group is that the kids wouldn’t be able to spot the moose throughout the book, and some of the pictures don’t have a lot of contrast  they are mostly shades of brown, orange, and green  which might make it hard to see the pictures. But overall, a great book. I had a pile of library books for my four year-old and Adele and Simon was the last one he chose to read. Later, I caught him looking through the pages alone, and I love that. We never did find one of the crayons, though. 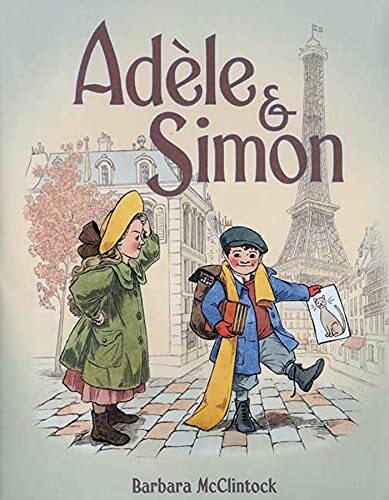 One of my four year old students LOVES this book -- she especially like tracing Adele and Simon's path through Paris on the map-endpapers.